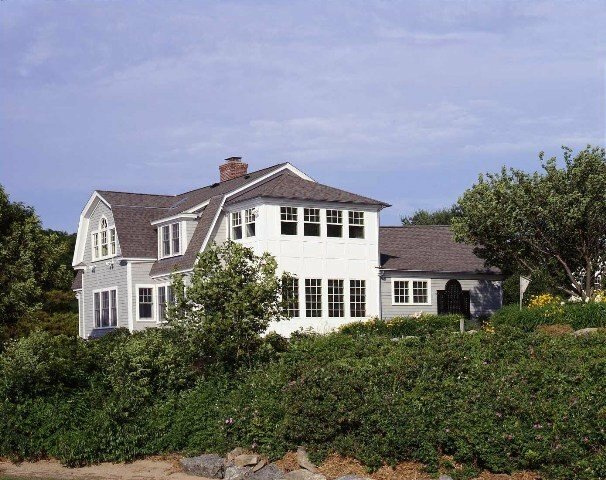 This Rhode Island home was built on one of the few remaining beachfront lots in the area. 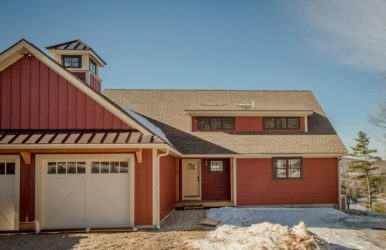 The the Yankee Barn Home had to work in terms of site positioning, exterior styling, environmental concerns and community regulations. 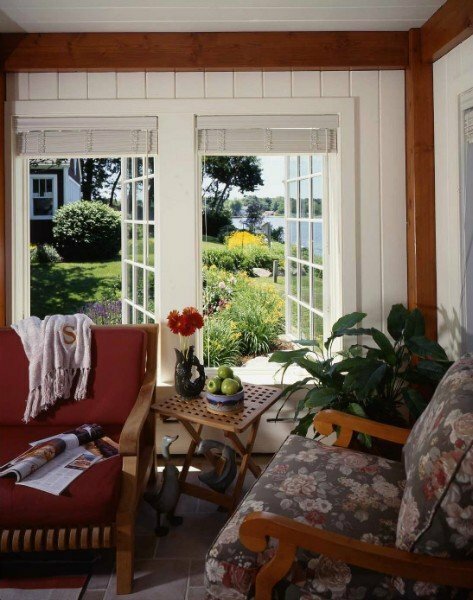 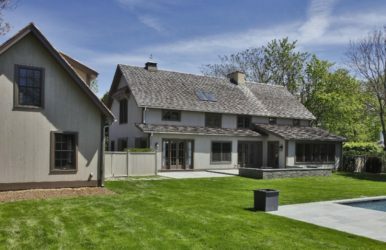 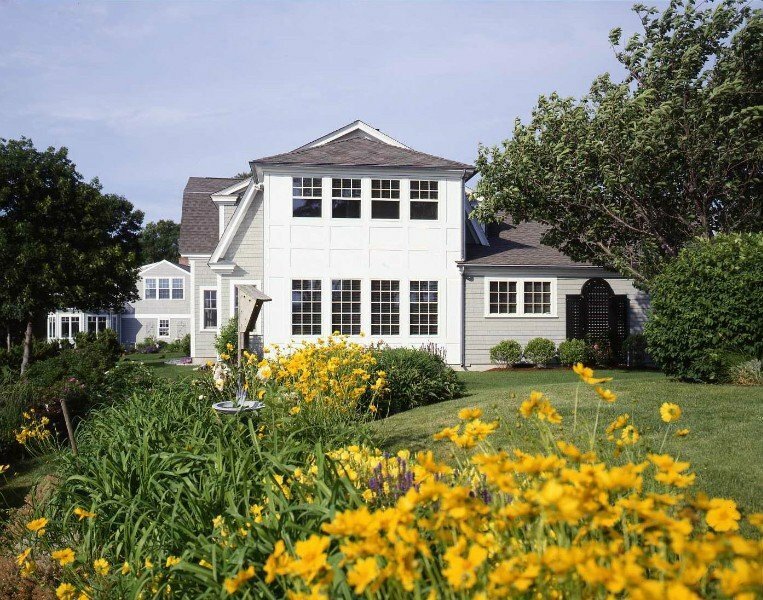 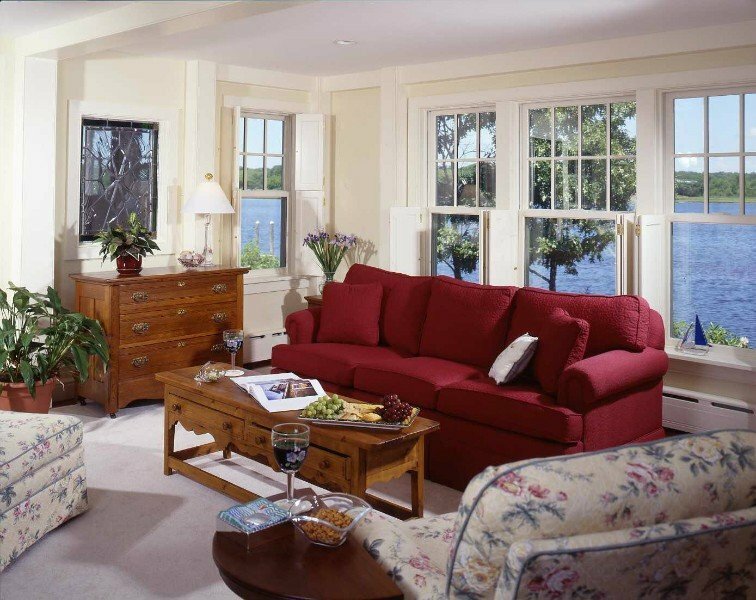 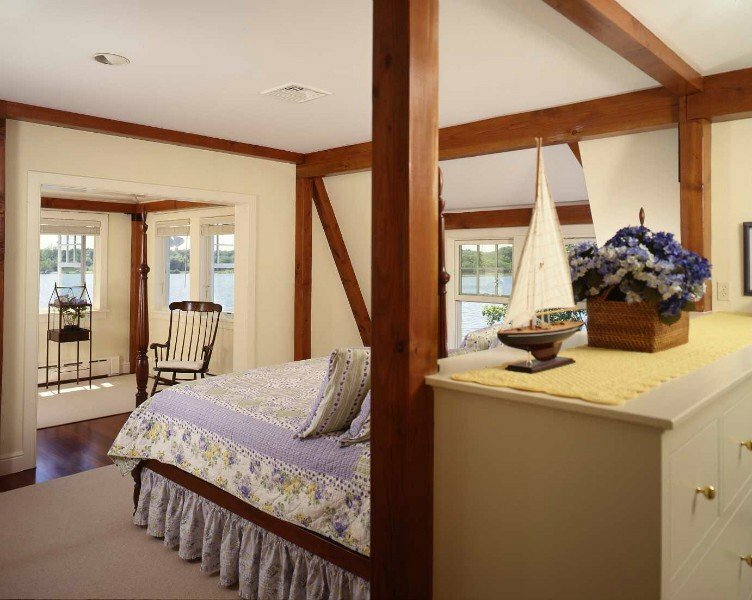 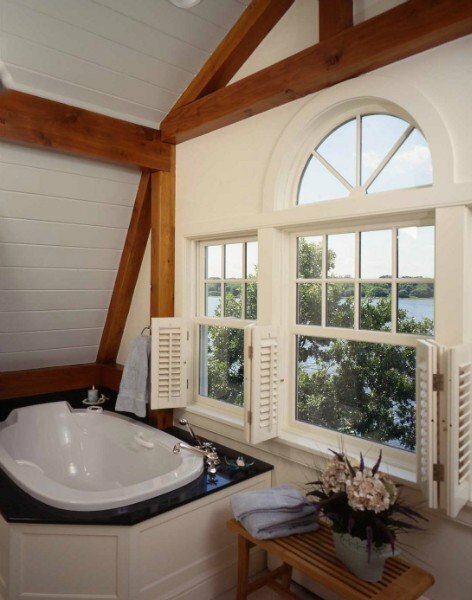 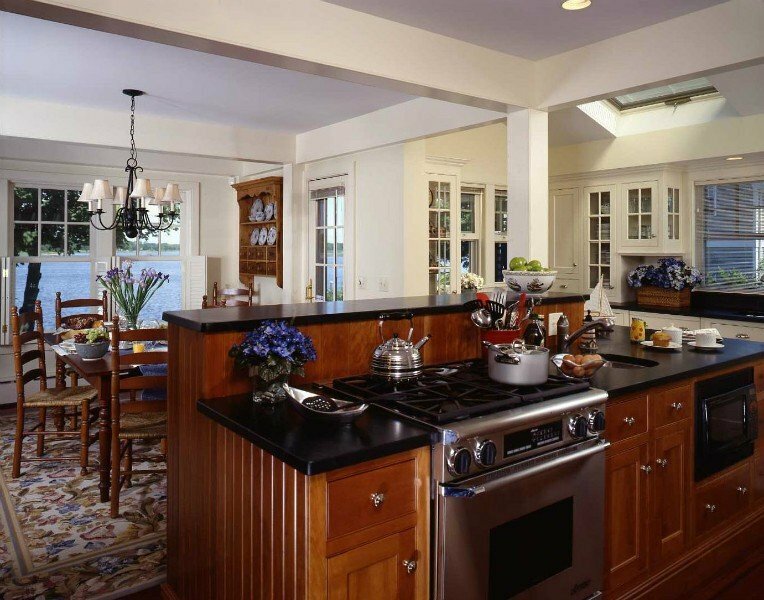 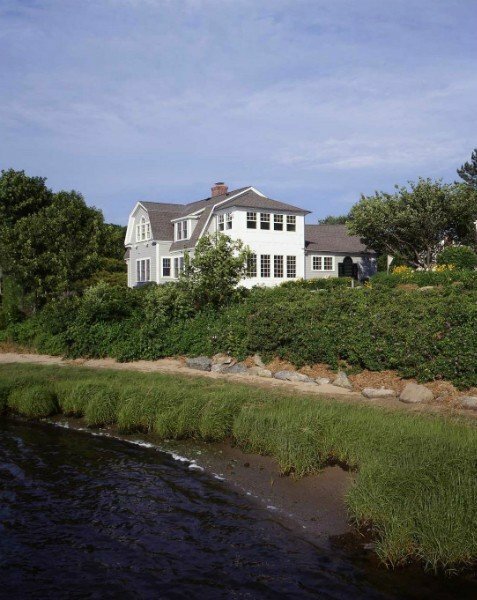 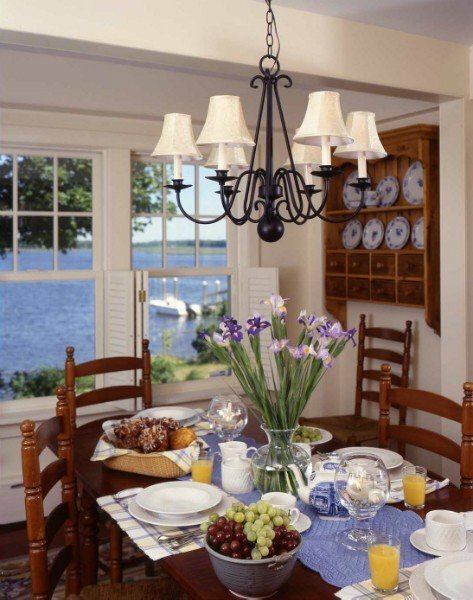 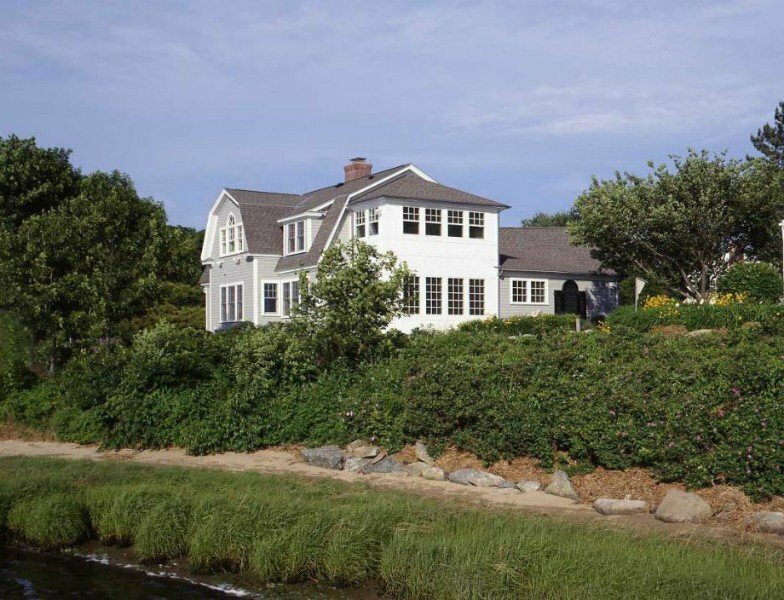 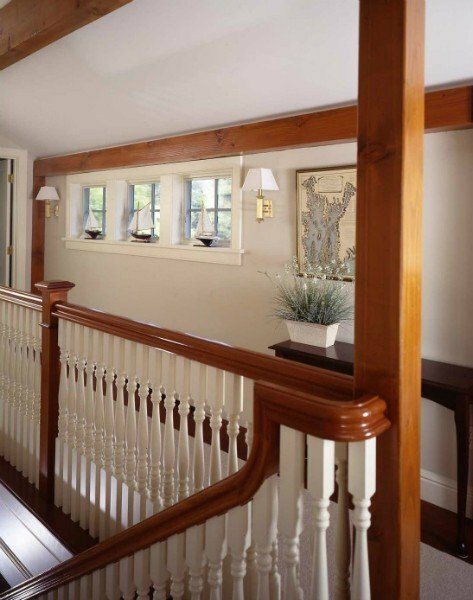 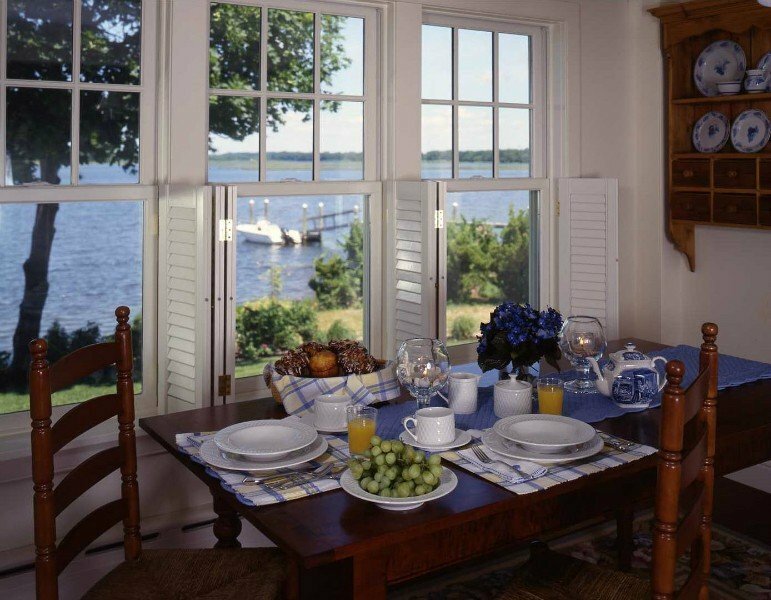 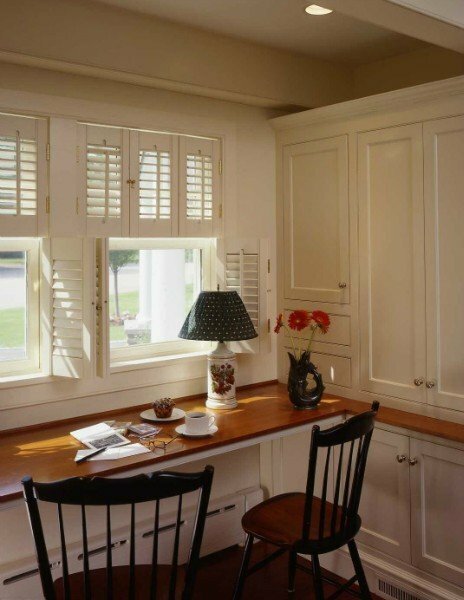 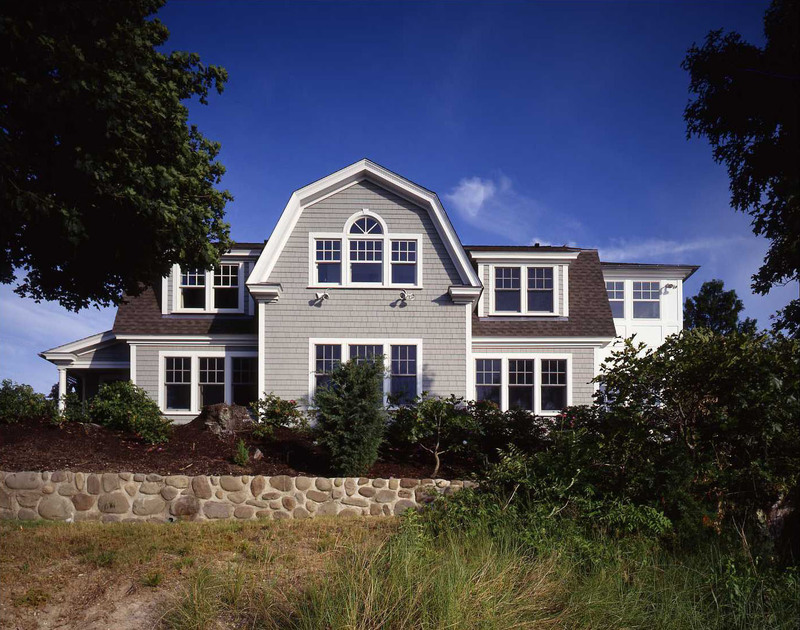 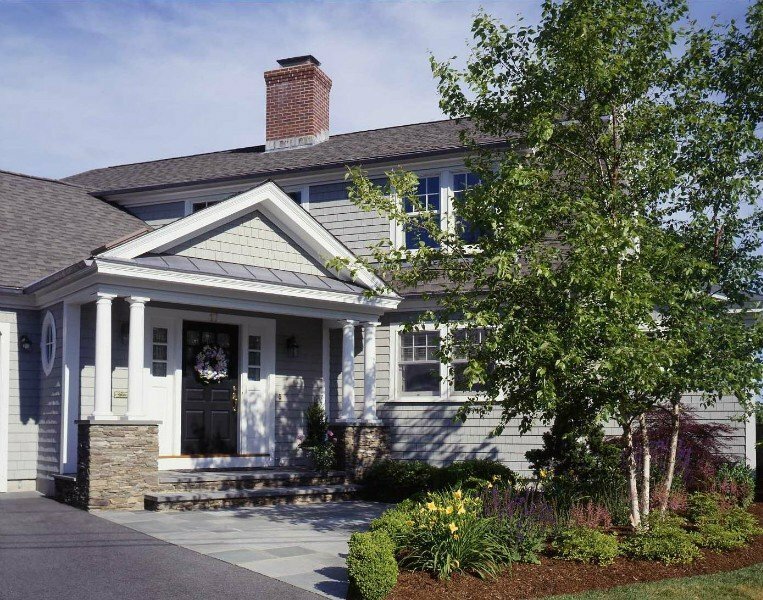 This home, found in the Yankee Barn Home plan library as the “Rye Harbor Cottage”, incorporates strong shingle style influences from the Victorian era. 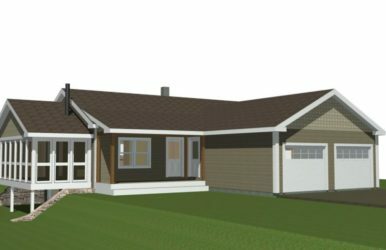 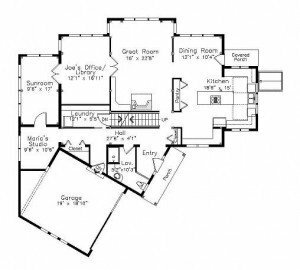 This classic cape cod style home plan features 3,318 square foot of post and beam living space, 3 bedrooms and 3 baths.